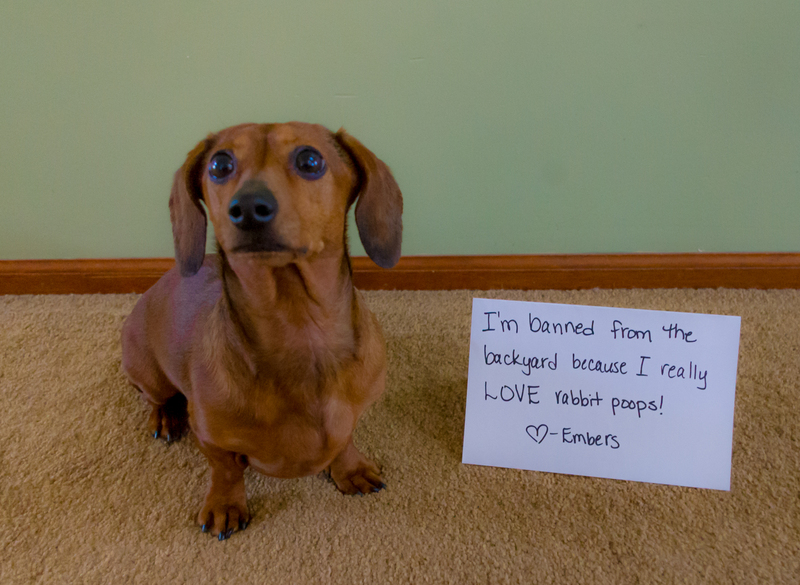 Embers, our mini dachshund, has been banned from playing in the backyard due to sniffing out and eating every last morsel of rabbit poop! She is not allowed outside unsupervised anymore. At least we have discovered the source of her terrible poo-breath. Posted November 1st, 2015 . Oh my cuteness! She is the twin of my Gus, who loves geese poops!